pp. 261-292. The full text is available in pdf. UN Secretary General U Thant played a significant but unappreciated role in resolving the Cuban Missile Crisis. As Soviet ships challenged the US-imposed blockade (quarantine) in October 1962, Thant made several important proposals directly to the protagonists, US President John F. Kennedy and Soviet Premier Nikita Khrushchev. The first requested a moratorium on the US quarantine and the movement of Soviet ships towards Cuba. Though many of Kennedy's advisers looked upon Thant's initiative with derision, Kennedy asked Thant to send another message requesting again a cessation of Soviet shipping. The US side even suggested the contents of this message, which was sent almost word for word as the United States requested. Thant's messages gave Khrushchev a way to stop his ships while saving face. This ended the threat of a sea confrontation and enabled the superpowers to focus on the main issues of the conflict. The eventual solution was first proposed publicly and given salience by Thant who pushed the United States to realize that the Soviets would trade missiles for guarantees of Cuban security. During moments in the crisis when many were calling for an attack on Cuba, Kennedy and Rusk cited Thant's initiatives as reasons for restraint. Thant also travelled to Cuba to mollify Castro and confirm that missile deconstruction had begun. Furthermore, he aided in the post-agreement negotiations to resolve verification issues. This unheralded role in one of the most dangerous conflicts of the twentieth-century is described in detail in this article. On October 16, 1962, President Kennedy learned that the Soviet Union was building nuclear missile installations in Cuba. For the next six days the president and his advisers secretly deliberated about the American response. The new threat not only upset the nuclear balance but also placed nuclear missiles capable of destroying most U.S. cities on the territory of a new enemy, Premier Fidel Castro. As the Kennedy administration strove to keep this alarming news secret, it nevertheless shared it with the new acting secretary general of the United Nations, a quiet unassuming Burmese diplomat named U Thant.2 Speciﬁcally, on Saturday, October 20, 1962, Admiral John McCain, military adviser at the U.S. Mission to the United Nations, informed Thant’s military adviser, Major General Indar Jit Rikhye, about the missiles.3 General Rikhye went to the Pentagon for a secret brieﬁng and received an album of U.S. photos of the menacing missiles,4 which he showed to Thant. Two days later, on Monday, October 22, Rikhye informed Thant that Kennedy would be making an important television broadcast that evening concerning the missiles. Thant conferred with the U.S. ambassador to the United Nations, Adlai Stevenson,5 and a few hours later watched Kennedy make one of the most momentous presidential speeches of the century. The president announced a “naval quarantine” of Cuba, pushing the world closer to nuclear war than ever before. In the deepening crisis, the United Nations, and speciﬁcally Secretary General Thant, was to play a signiﬁcant role in de-escalating and then resolving the nuclear standoff between the superpowers. 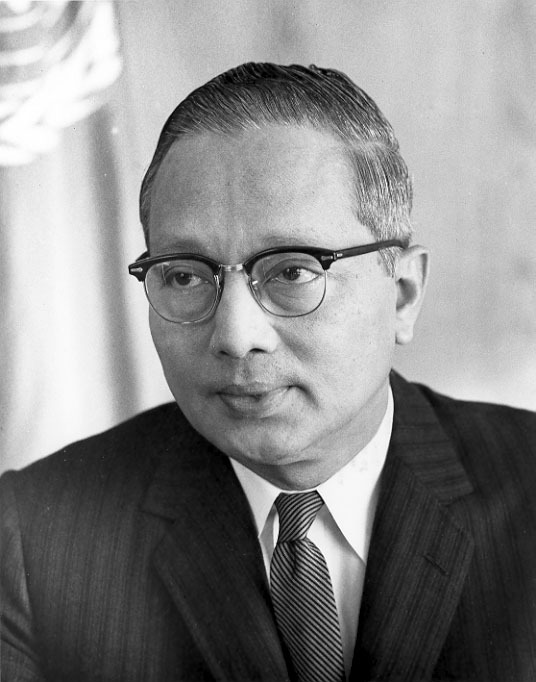 Figure 1: U Thant, Secretary-General of the United Nations (1961–1972) (UN Photo). Thant (Figure 1) sent appeals and messages, relayed proposals, offered reassurances, advanced the “non invasion for missiles” formula that formed the basis of the final agreement, shuttled to Cuba to mollify Castro, and helped secure a veriﬁcation arrangement. Thant’s mediation set an historical precedent. His predecessor, Secretary General Dag Hammarskjöld, had pioneered the UN’s third-party role, for instance by securing the release of eleven American ﬂiers held captive in the Peoples Republic of China in 1954–55, and again during the Suez Crisis of 1956.10 Hammarskjöld had expanded the prestige of the United Nations and his innovations helped give Thant a stronger role. The added poignancy and signiﬁcance of Thant’s action is that he corresponded directly with the heads of the superpowers and helped them pull back from the brink during the world’s most dramatic nuclear showdown. New sources have allowed some factual adjustments to our understanding of the Cuban missile crisis, including Thant’s efforts. Most of these have been based upon the release of the transcripts of the deliberations of the Executive Committee of the National Security Council, known as ExComm,11 which was composed of Kennedy’s principal advisers during the crisis. Soviet sources also became available, as did the testimonies of the actual participants in the crisis.12 However, no studies to date have been devoted to the role Thant played. This article describes Thant’s intervention and analyzes his contributions. It highlights Thant’s efforts to de-escalate the crisis, help resolve it, and then implement the settlement. It reveals how Kennedy utilized Thant’s assistance to affect the Soviet position and actively sought his involvement at critical junctures. It compiles and summarizes, for the ﬁrst time, the signiﬁcant discussions about Thant in the American ExComm. This study uses ExComm and Soviet materials, oral histories, other primary and secondary sources, and previously unknown documentation found by the authors in UN archives regarding highly secret directions given to Thant by the U.S., requesting him to take speciﬁc actions. 1. Gertrude Samuels, “The Meditation of U Thant,” New York Times Magazine, December 13, 1964, 115. 2. U Thant was appointed acting secretary general of the United Nations on November 3, 1961, after the death of Dag Hammarskjöld. He was appointed secretary general on November 30, 1962, shortly after the Cuban missile crisis, retroactive to the time he assumed ofﬁce in 1961. Hence, his retroactive title, secretary general, is used throughout this article. 3. Indar Jit Rikhye, “Critical Elements in Determining the Suitability of Conﬂict Settlement Efforts by the United Nations Secretary General,” in Timing the De-escalation of International Conﬂicts, ed. Louis Kriesberb and Stuart J. Thorson (Syracuse, 1991), 73–74. 4. General Indar Jit Rikhye, interview by authors, April 30, 2006. 5. Rikhye, “Critical Elements in Determining the Suitability of Conﬂict Settlement Efforts by the United Nations Secretary General,” 74. 6. Kennedy quoted in Samuels, “The Mediation of U Thant,” 115. 7. Abram Chayes, International Crises and the Role of Law: The Cuban Missile Crisis (London, 1974), 84. 8. For a very good summary and analysis of the traditional and revisionist views and literature, see Richard Ned Lebow, “Domestic Politics and the Cuban Missile Crisis: The Traditional and Revisionist Interpretations Reevaluated,” Journal of Diplomatic History, 14 (Fall 1990): 471–92. 9. For a recent examination of Cuban missile crisis historiography, see the review essay by Robert A. Divine, “Alive and Well: The Continuing Cuban Missile Crisis Controversy,” Journal of Diplomatic History, 18 (Fall 1994): 551–60. A full appraisal of Thant’s role is absent from the literature. Thant took a humble attitude regarding his role, but the lack of credit was decried by his associates, including Sir Brian Urquhart and Major General Indar Jit Rikhye. See Brian Urquhart, A Life in Peace and War (New York, 1987), 193; and Rikhye, “Critical Elements in Determining the Suitability of Conﬂict Settlement Efforts by the United Nations Secretary General,” 80. 10. Brian Urquhart, Hammarskjöld (New York, 1973), 117, 159. 11. The deliberations of ExComm have been reproduced in: Ernest R. May and Philip D. Zelikow, eds., The Kennedy Tapes: Inside the White House During the Cuban Missile Crisis (Cambridge, MA, 1997). 12. See Len Scott and Steve Smith, “Lessons of October: Historians, Political Scientists, Policy-Makers, and the Cuban Missile Crisis,” International Affairs 70, 4 (1994): 659–84. Kennedy refers to a Soviet invasion of West Berlin.